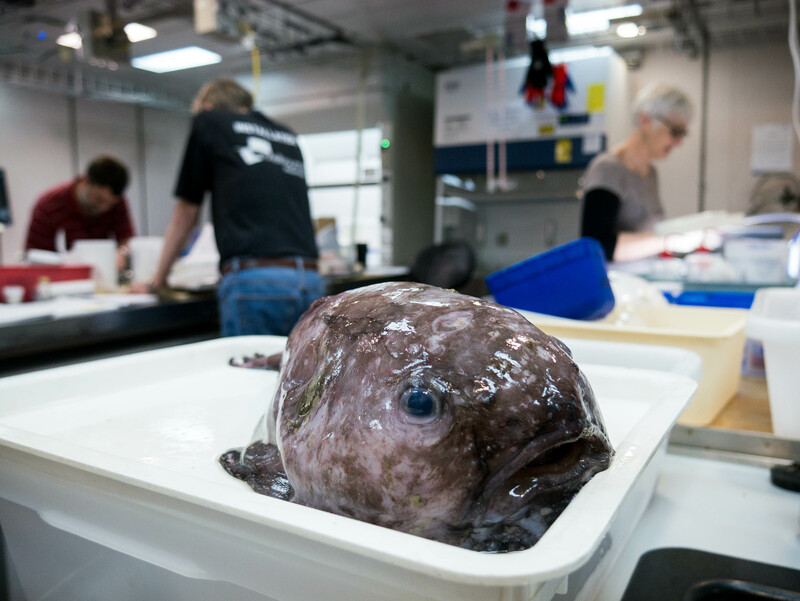 Scientists are gathering in Hobart this week to examine some of the over 42,000 deep-sea fishes and invertebrates (including the cousin of Mr Blobby - voted World's Ugliest Fish in 2013) collected from Australia’s eastern abyss. 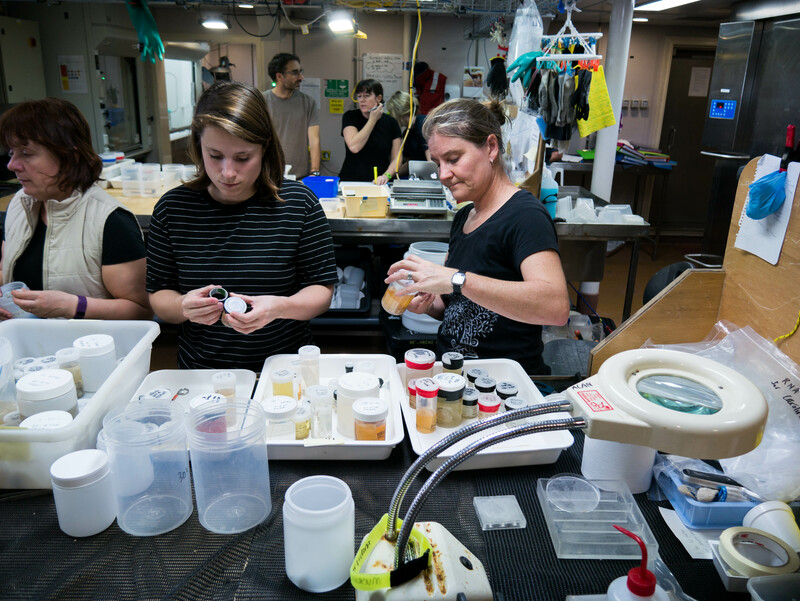 The collection was gathered last year during the Sampling the Abyss voyage on research vessel Investigator and come from the deep ocean at depths of up to 4800 metres. Over 100 different fish species were collected, some of which are possibly new to science, and will go under the microscope at the CSIRO Australian National Fish Collection (ANFC). Some of the weird and wonderful discoveries from the voyage included blob fishes, cousins of Mr Blobby who was voted the World’s Ugliest Fish in 2013, bioluminescent cookie-cutter sharks with razor sharp serrated teeth, a haul of frightening lizard fish, and graceful tripod fish, which prop on high off sea floor on long fins waiting for food to drift within reach. Manager of the Australian National Fish Collection, Alastair Graham, said Australia has a vast marine estate to manage and some areas, such as the abyssal depths, are largely unexplored. “The abyss is the largest and deepest habitat on the planet, covering half the world’s oceans and one third of Australia’s territory, but it remains the most unexplored environment on Earth,” Mr Graham said. 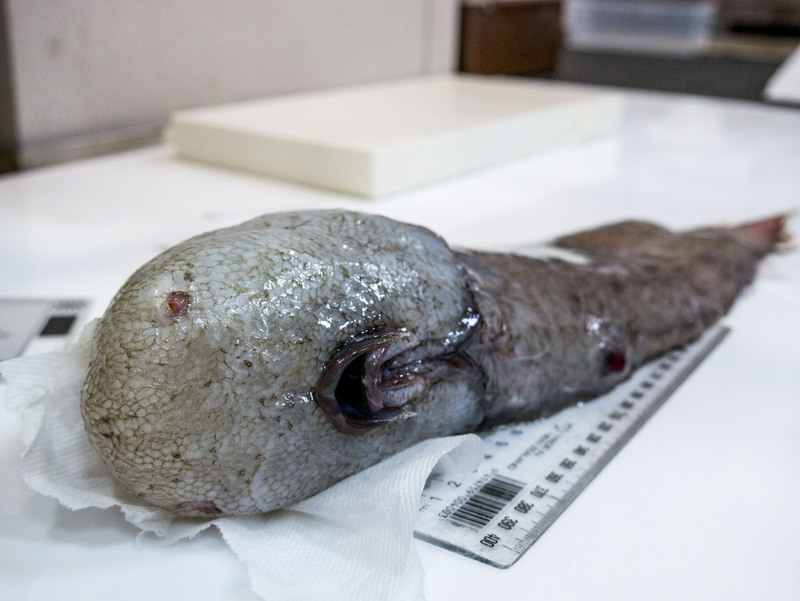 The voyage led to a number of important findings, including the rediscovery of the “faceless” fish, a bizarre deep-sea fish with no-visible eyes and a mouth on the underside of its head. Images of this fish went viral across the world. During the month-long voyage, the research team deployed a variety of survey equipment, including a beam trawl and benthic sled, to collect fishes and invertebrates at depths of almost 5000 metres, which is a new capability for an Australian research vessel. CSIRO ichthyologist John Pogonoski said they spent many hours processing the samples on board, separating the different species, photographing specimens, preserving or freezing some of the catch for later processing, and extracting muscle samples for DNA analysis. “We use a mix of morphological and molecular approaches to identify deep water species because they are typically poorly known to science,” Mr Pogonoski said. Mr Pogonoski said the voyage was frontier science vital for increasing our understanding of the deep sea environment. Museums Victoria ichthyologist Dr Martin Gomon said the abyss voyage was the first systematic attempt to examine life at abyssal depths anywhere along Australia’s vast coast line. “The discoveries provide us with a glimpse into how our marine fauna fits into the interconnected abyssal environment worldwide and for the scientists, adds another piece to the puzzle of what affects evolution in the deep sea. “For those of us aboard it was a real buzz to see the amazing fishes that provide this information as they emerged from the nets and we’re looking forward to the opportunity to take a closer look at them in Hobart this week,” Dr Gomon said. The abyss voyage was an international collaboration, led by Museums Victoria, to deliver the first ever survey of the abyssal waters off Australia’s east coast. In all, the voyage collected a massive 42,747 fish and invertebrate specimens for study. Specimens from the voyage have been shared between five Australian collections (Museums Victoria, Australian Museum, Queensland Museum, Tasmanian Museum & Art Gallery and CSIRO Australian National Fish Collection), and are available to the international research community for study. It is anticipated that new discoveries will continue to be made from collected samples for decades. Marine National Facility research vessel Investigator. 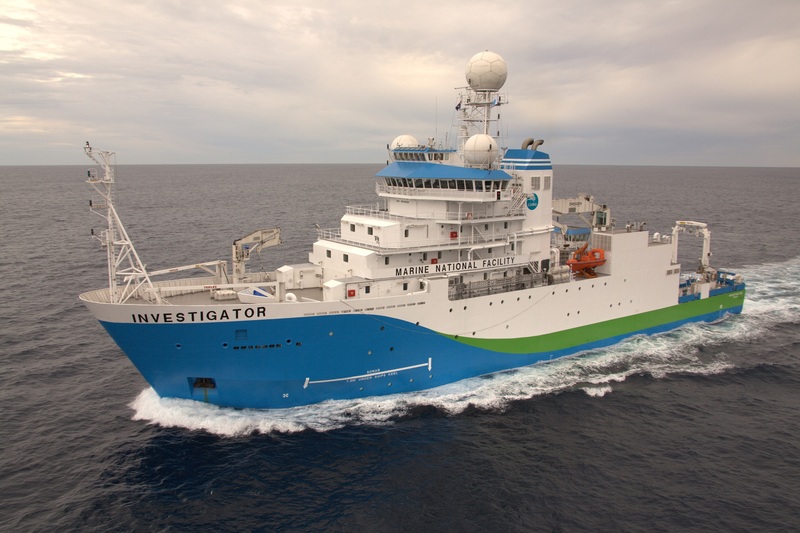 Led by Museums Victoria, Sampling the Abyss was a month-long voyage on the Marine National Facility research vessel Investigator that brought together scientists from Museums Victoria and CSIRO, as well as other Australian and international museums and research agencies. Funding for this voyage was provided by the CSIRO Marine National Facility and National Environmental Science Program, Marine Biodiversity Hub.